Remember the Great American Eclipse of 2017? Now that all the hype, the traffic jams, and the threat of zombie apocalypse have come and gone, we are left with… "So how was it?" A total solar eclipse happens somewhere on Earth about every 18 months. But last year’s August 21st eclipse was the first since 1918 to cast the Moon’s umbral shadow from coast to coast. The path of totality crossed 14 states from Oregon to South Carolina. 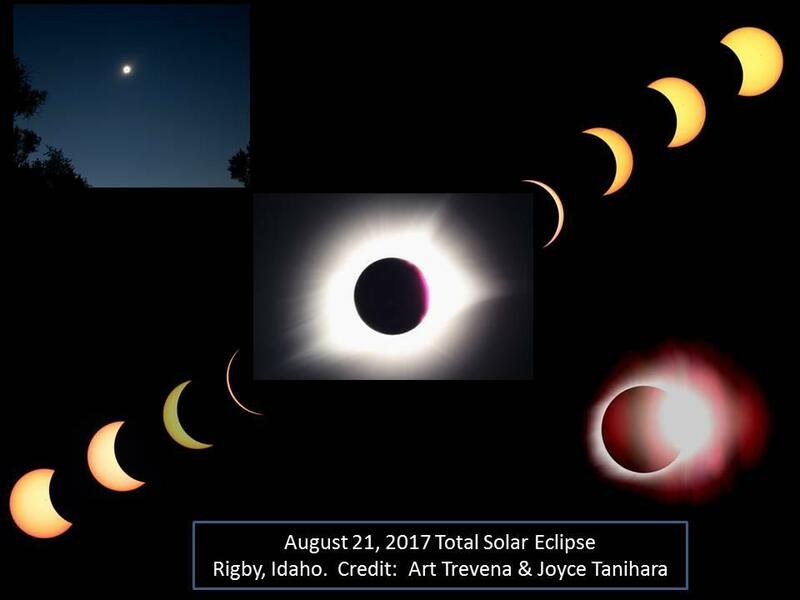 Tens of millions witnessed totality, and an estimated 100 million saw the Sun partially covered. I am not going to knock those who did not make it to “The Path” where the eclipse was total, because even the partial phase generated unprecedented interest in solar science. But, for those 12.2 million who resided in the path, and the millions who hiked, took planes, trains, buses, cars, kayaks, and other modes of transportation to see it… was it worth the hype? In Eastern Idaho, our chosen observation spot, there was so much going on leading up to and during totality. The partial phases, the temperature drop, daylight turning to twilight, birds roosting mid-day, the eerie sunset glow that encircled the horizon… the mounting anticipation. When the Moon finally fully occulted the Sun, we ripped off our safe solar glasses, and the corona appeared in all its glory. My first thought was one of incredulity, “It can’t be real!” It was better than the photos. Better than I imagined. It was truly amazing and awe-inspiring. That day, we had clear skies, and 2 minutes, 19 seconds of totality, but it was not long enough. Afterward, eclipse fever continued. There was immediate talk of seeing the “next one” to cross the U.S. in 2024. Or, for that matter, the next ones in South America in 2019 and 2020. As for me, I’ll bask in the memory of the 2017 corona, and hope I’m fortunate enough to experience totality again one day. You’ve been listening to Western Slope Skies, written and produced by members of the Black Canyon Astronomical Society. I’m Joyce Tanihara.